You know that almost hypnotic, trance-like state that you fall into when you play with those spirally glitter sticks? The state that just makes you subconsciously sigh with satisfaction? Well, give Luunes new track '“Torrents' a quick spin for me and just try to resist the urge to sit back and say - “Ahhh”. 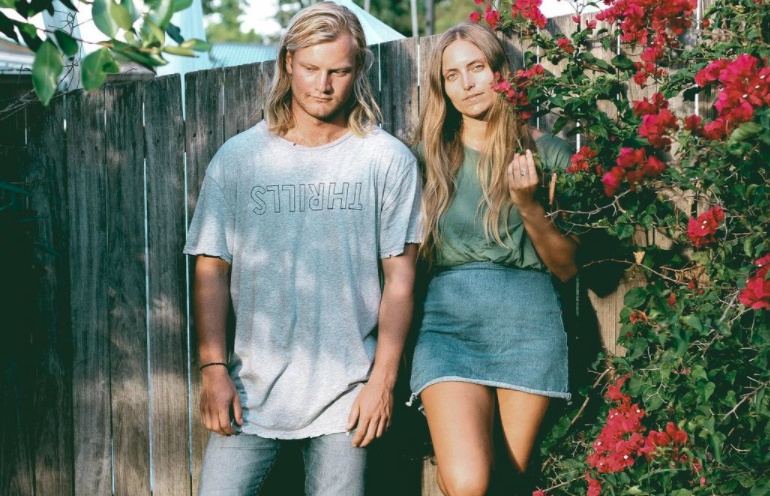 The wonderful world of music is bursting at the seams with boy/girl duos, boasting a delicate female vocal with a dude driving the production. So it can be a little tough for acts to stand out from the crowd. But when you find something with a balanced restraint, without being too simple, that's when you know you've got yourself a keeper. Welp, up there with the likes to Vallis Alps & Yuma X, Luunes (made up of Newcastle’s Anna Milat & Sam Litchfield) have really nailed the brief. 'Torrents' is spacey, delicate and refined but also boasts a subtle fierceness. A beautiful combination of Daughter inspired vocals with breezy production that champions an almost London Grammar-esque simplicity. Milat’s voice just trickles seamlessly through you, and makes you want to go and lay in a field of daisies and just play it on repeat again & again (..and again and again, etc.). This is really, really beautiful stuff guys. More, please!